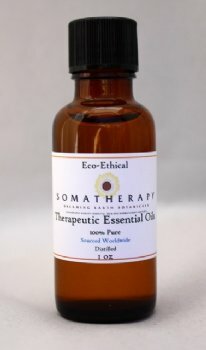 Tea Tree Essential Oil is a powerful antiseptic, antifungal and anti-viral oil. Tea Tree Essential Oil is one of the most well known and useful of essential oils, with antibacterial, antifungal and antiviral properties. Main Chemical Components: Terpinene-4-ol, gamma-terpinene, alpha-terpinene, 1,8-cineole Blends Well With: Lavandin, lavender, clary sage, rosemary, cananga, geranium, marjoram, clove, nutmeg essential oils. Tea Tree essential oil is one of those oils that every household should have on hand, because it's so effective, gentle, and has such a wide variety of uses. Tea Tree essential oil is a powerful antiseptic, antifungal and anti-viral. It's a great oil for acne, cold sores, warts, and burns. When vaporized, Tea Tree is excellent for killing germs. It is also a useful cleansing agent for the skin and helps combat foot odor and athletes foot. Click here to read more about Tea Tree on our blog. Blend these together, and add to 8 oz of water. We recommend adding a few drops of carrier oil (such as almond or jojoba) to the water to help disperse the essential oils. If you use just water you’ll need to shake well each time before using. After brushing, add a few drops to your toothbrush and gently brush teeth and gums. Rinse and spit–do NOT swallow! Or, use as a mouth rinse after brushing. You can adjust the strength to your taste by making the essential oil concentration stronger or more diluted. Combine all in a small bottle.